We are widely appreciated for offering qualitative array of Anti Diabetic Medicines. 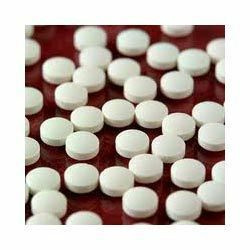 At our sound infrastructure, we process the offered anti diabetic medicines as per the defined parameters of the pharmaceutical industry industry by making use of quality assured raw material. Post processing, we make these anti diabetic medicines undergo a quality test to ensure their ability to meet the requirements of patrons. Our reliable patrons can avail from these anti diabetic medicines as per their given specifications. We offer Metformin sustained release tablet. Indications : In non-obese type 2 diabetes mellitus not adequately controlled with sulphonylureas. Obese type 2 diabetes mellitus not controlled by weight reduction and dietary modification. Dosage & Administration : Oral : Adults : 0.2 - 0.3 mg three times a day before each meal, or as prescribed. Backed by sophisticated infrastructure, we are able to manufacture, supply, export and distribute a high grade array of Anti Diabetics Tablets. To ensure that offered anti diabetic tablets are able to meet the requirements of our patrons, we process these by making use of superior quality ingredients, sourced from authentic vendors. 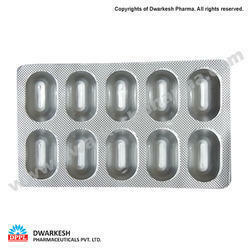 Further, by following modern processing techniques, we process these anti diabetic tablets as per the specifications detailed by patrons to attain their higher level of satisfaction.